James Walker (Leith) Limited – Provides finance, payroll, HR and management services. Walker Healthcare Limited – Provides management services. We will only use your contact details for marketing where you have consented to such marketing. However, we may send you emails describing our services and newsletters. If you provide your consent to receive e-mail marketing and you no longer wish to receive the emails, you can unsubscribe using the link in the relevant email. A detailed overview of the types of personal information we collect and process can be found by clicking on this link. We use this data to monitor usage of our site and to improve our services. Restricting how we use your information: In some cases, you may ask us to restrict how we use your personal information. This right might apply, for example, where we are checking the accuracy of personal information about you that we hold or assessing the validity of any objection you have made to our use of your information. The right might also apply where there is no longer a basis for using your personal information but you don’t want us to delete the data. Where this right is validly exercised, we may only use the relevant personal information with your consent, for legal claims or where there are other public interest grounds to do so. Portability: If we process personal information that you provide to us on the basis of consent or because it is necessary for the performance of a contract to which you are party, and in either case that processing is carried out by automated means, then you have the right to have that personal information transmitted to you in a machine readable format. Where technically feasible, you also have the right to have that personal information transmitted directly to another controller. We keep this privacy statement under regular review and will place any updates on this website. 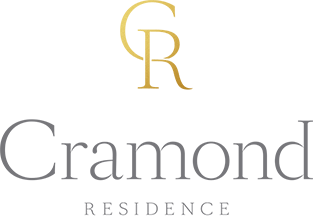 Paper copies of the privacy statement may also be obtained from the General Manager at Cramond Residence. This privacy statement was last updated on 26th July 2018.